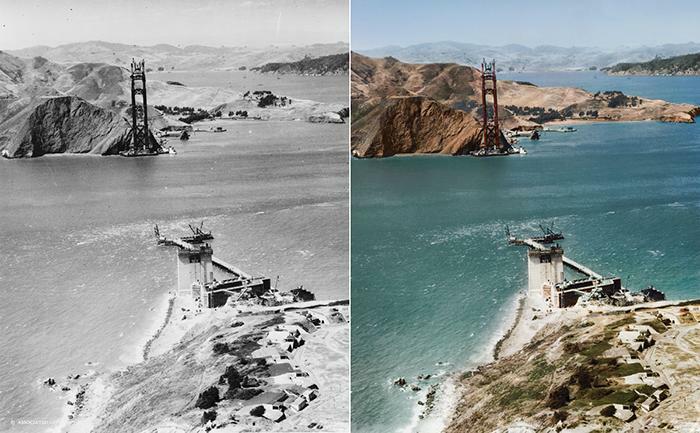 A collaborative project entitled "The Paper Time Machine" highlights an incredible series of colorized historical photos. 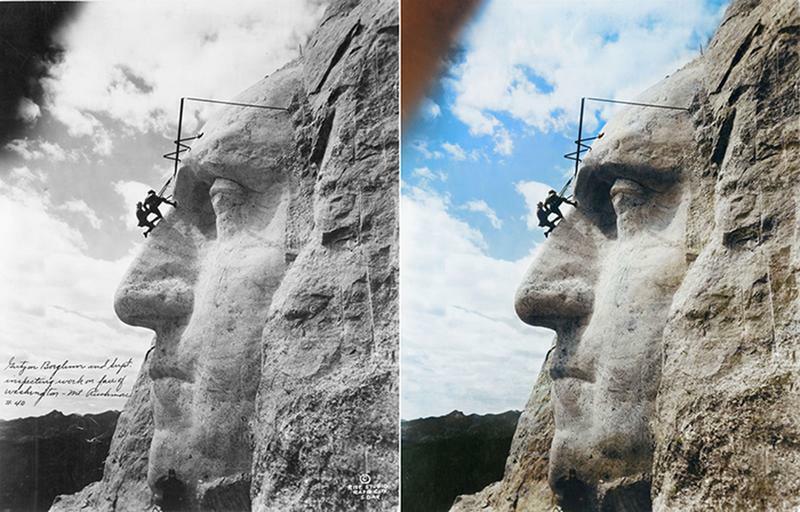 The photos colorization was done by Jordan Lloyd of Dynamichrome. 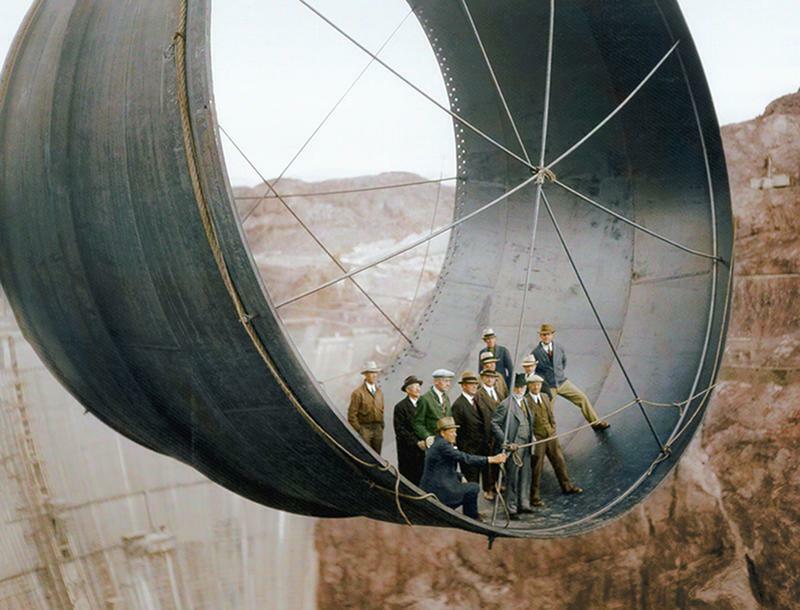 The images were meticulously selected by Retronaut website founder Wolfgang Wild who also did the captions detailing why the image matters. 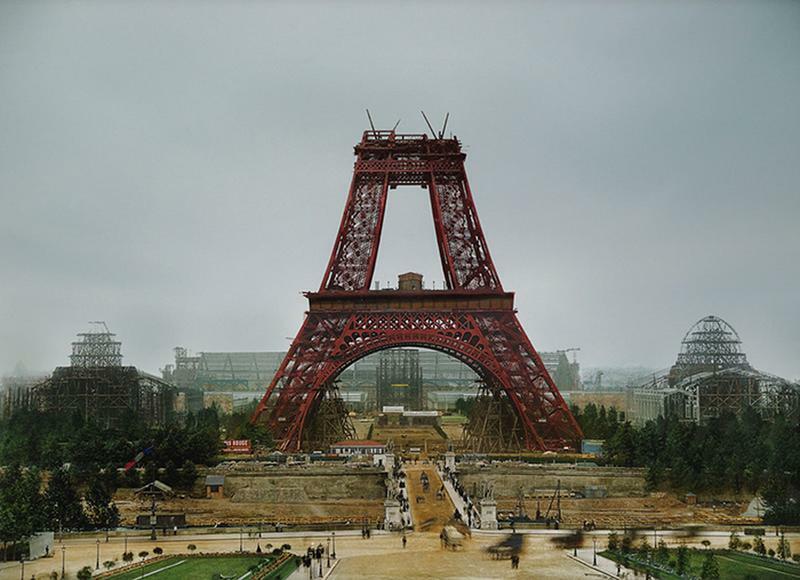 The 300-page coffee table book will highlight 130 historical photos in chronological order, accompanied by captions from Wolfgang on why the image matters and Jordan on how the image was restored. Here's some photos from the ambitious project that focus on famous landmarks under construction. For more information visit their crowdfunding page. 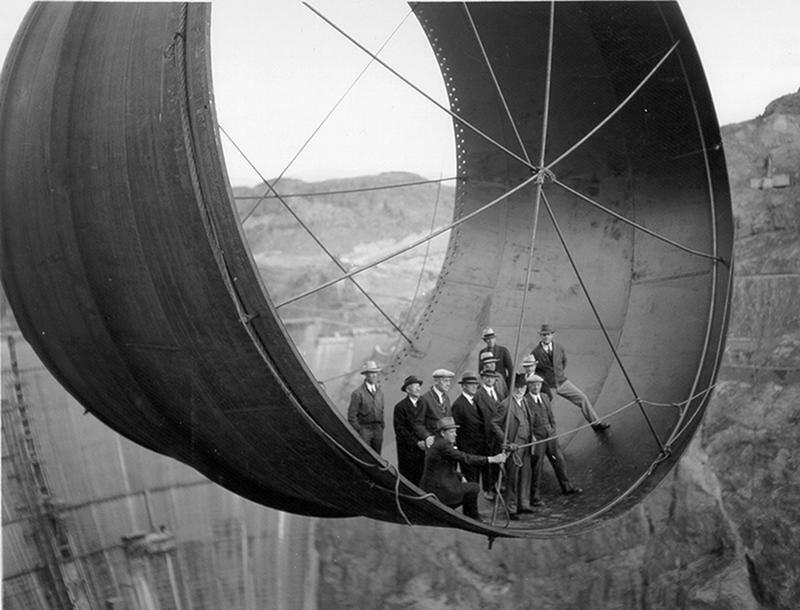 Officials ride in one of the penstock pipes of the soon-to-be-completed Hoover Dam, Arizona. 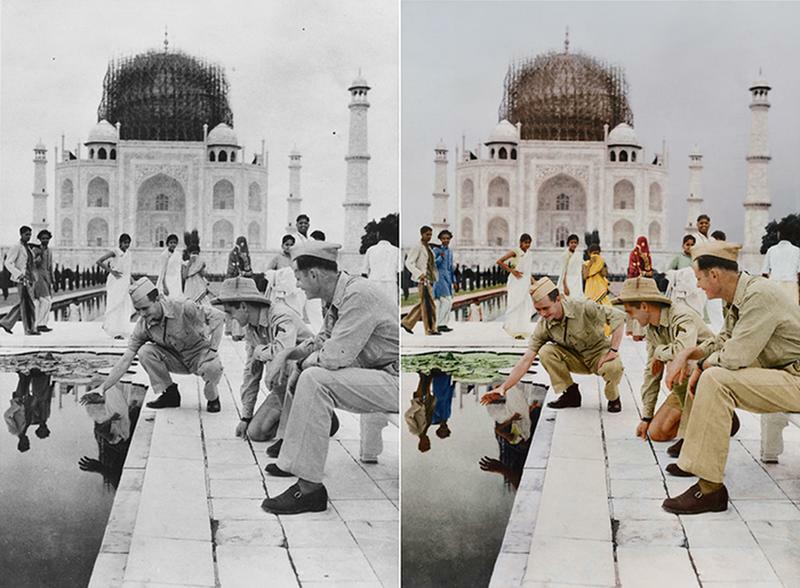 Covered in bamboo scaffolding to disguise it from enemy bombers, the dome of the Taj Mahal, Agra, India, looks almost as if it is being built during WWII. Private First Class John C. Byrom, Jr., of Waco, Texas, trying to catch a goldfish in the marble-lined pool at the approach to the Taj Mahal. Observing are Corporal Anthony J. Scopelliti and Private First Class Ray Cherry. 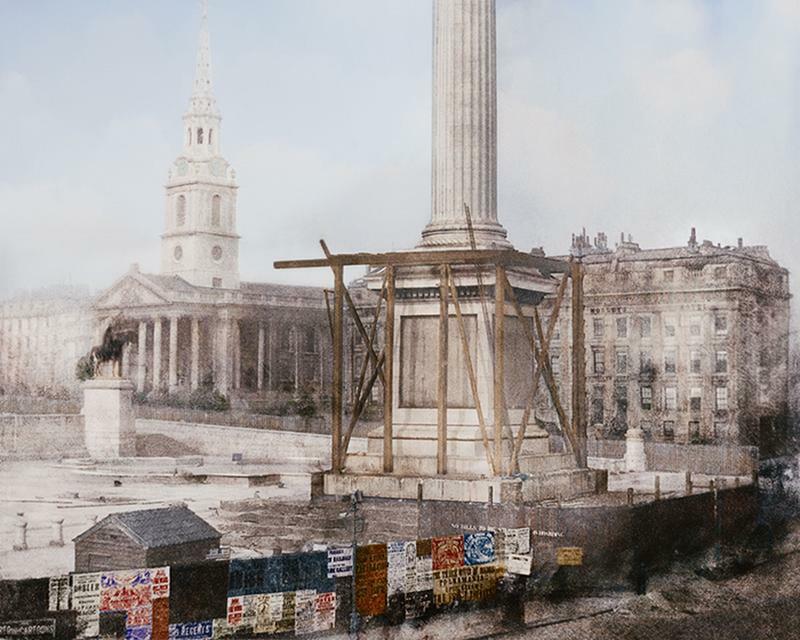 Nelson’s Column under Construction, Trafalgar Square, London. 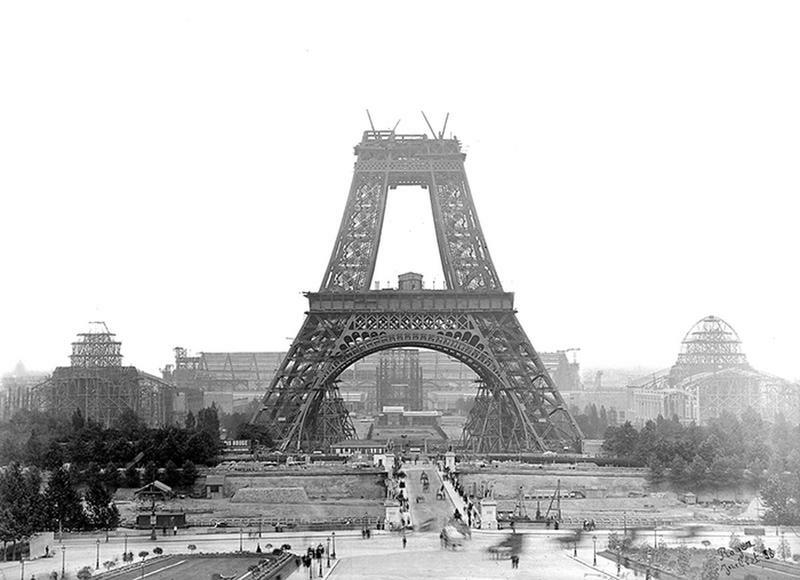 This image suggests industrious advances in the construction of the column. 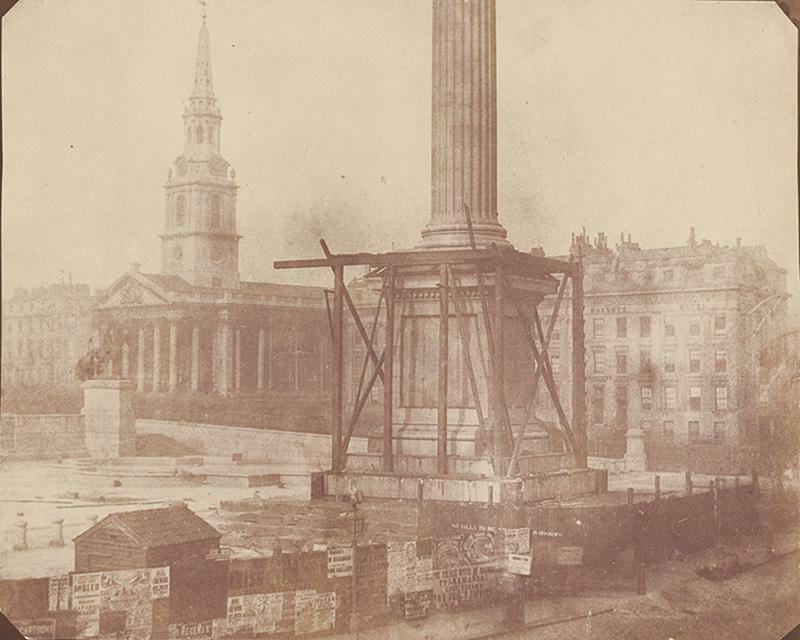 However, when Talbot took this photograph the building work had actually been halted while the government took over the project from the building committee whose funds had run out. Talbot invented the negative/positive process for making photographs between 1835 and 1839. Any number of prints could be made of a single image from the negative. 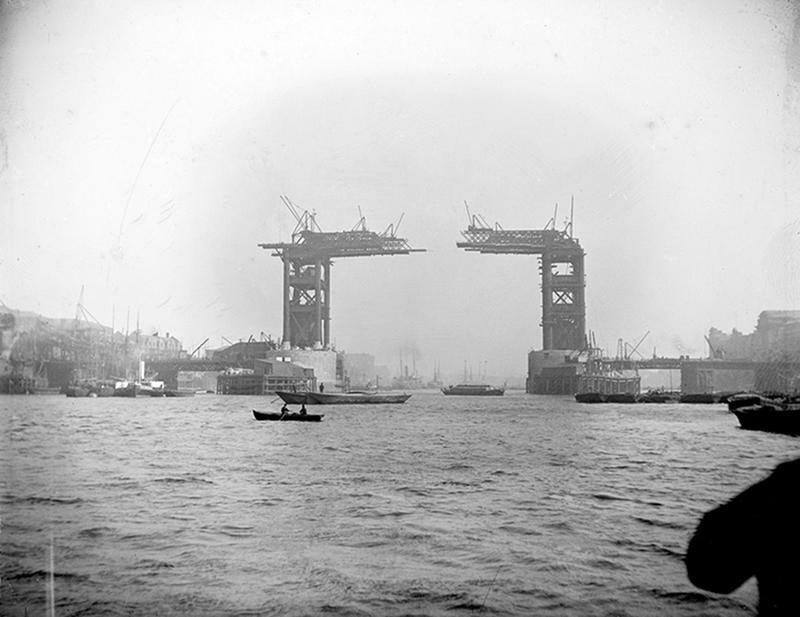 Tower Bridge was begun in 1881 and opened in 1894, to designs by Sir Horace Jones. 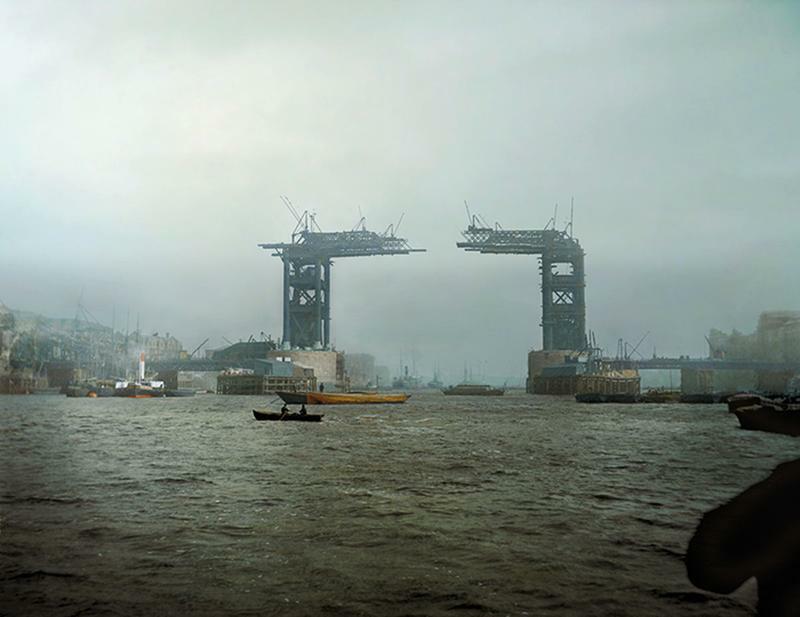 It was designed so that the central section could be raised to allow the passage of ships to and from the busy wharves of London. 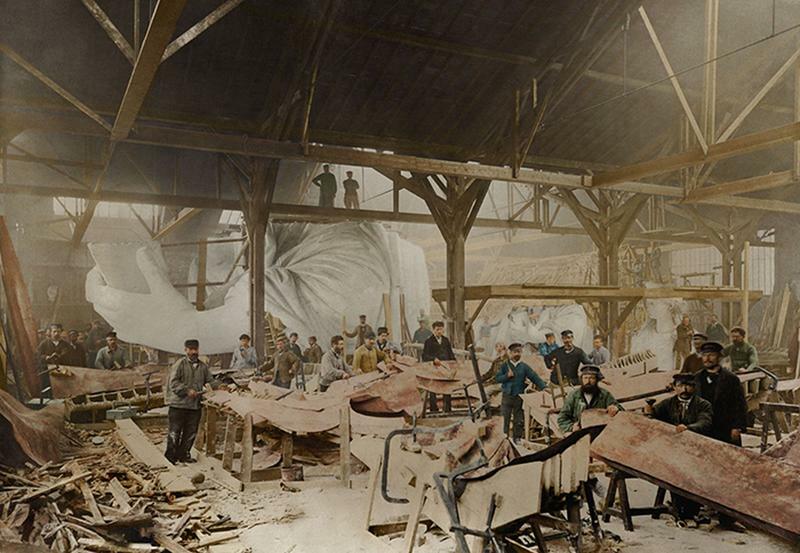 Workers build the Statue of Liberty inside French sculptor Frédéric Auguste Bartholdi’s workshop in Paris. 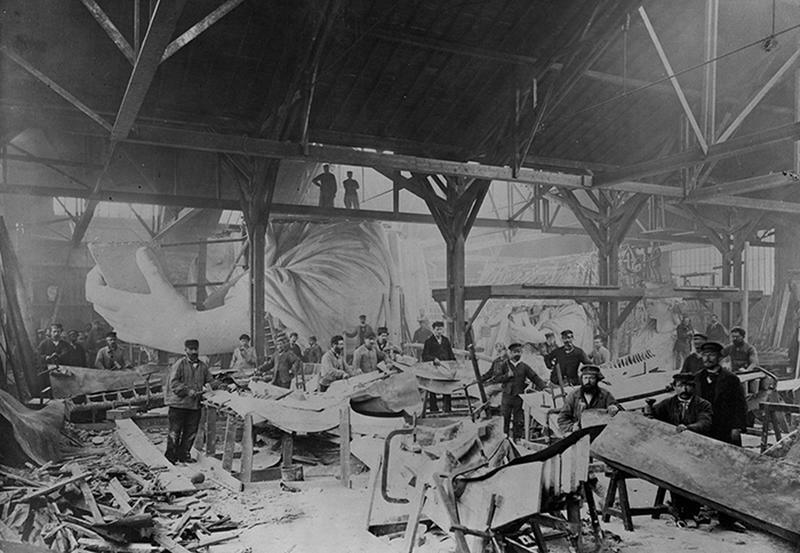 The background shows the carved arm of the statue. At the back (right) are smaller models of the arm and the head. 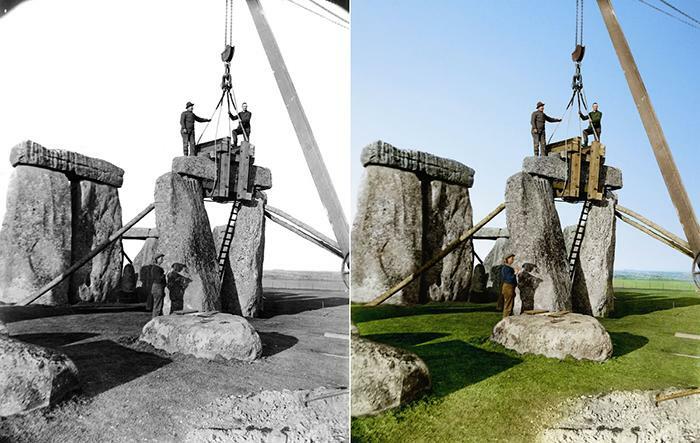 A view of a trilithon being re-erected during Lieutenant-Colonel Hawley’s excavations and renovations at Stonehenge in 1919 and 1920. 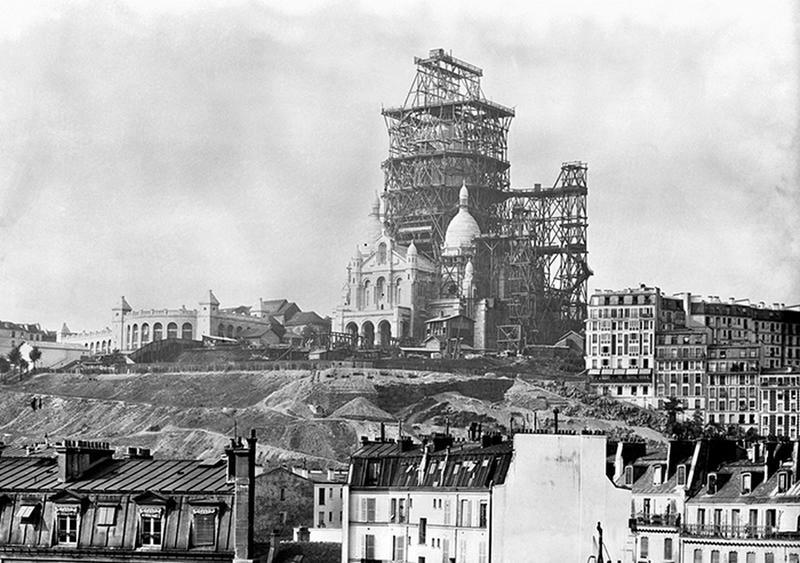 The monument itself dates to circa 2000 B.C., although the site was in use much earlier than this. Gutzon Borglum and supt. inspecting work on the face of Washington, Mt. Rushmore, South Dakota.